The Property is a 2 storey Penthouse Apartment located in the heart of Lorne. 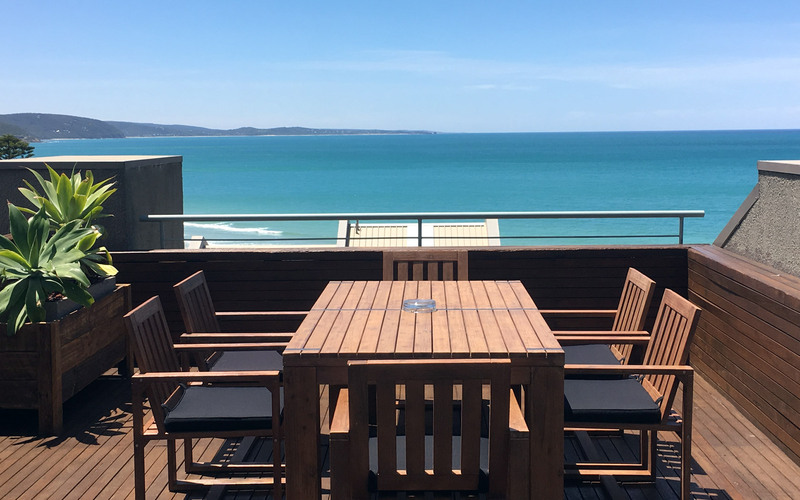 The apartment features spectacular views of Loutitt Bay from both the upstairs deck and smaller downstairs balcony and is a 2 minutes’ walk from Lorne Swimming Beach. Guests have full access to the resort's Swimming Pool, Tennis Courts, Squash Courts and Games room. The apartment also has one Underground car park with lift access.